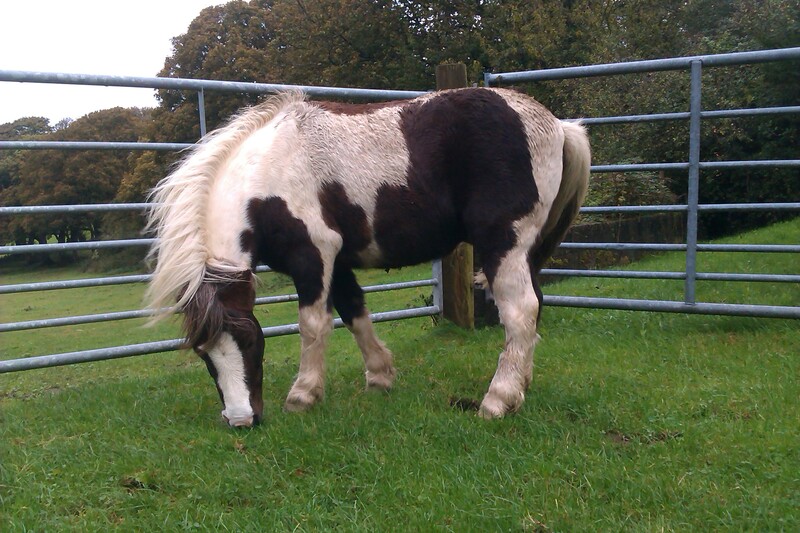 This entry was posted in Hints on horse care, Horse welfare, Life and Times and tagged Animal Welfare, autumn horse care, equine welfare, horse welfare; equines; horses and ponies; showing., horses and ponies, Horseworld, life and times, Pony Power, RSPCA, World Horse Welfare on October 2, 2014 by sallylearoyd. No chips please. We’re British. I have a passport. It is blue and it has my name and microchip number clearly displayed on the front, along with the name of my friends at the BHS. Inside it has my ownership details, a description of me (tricky when you are skewbald), and my age. The passport laws in the UK are pretty non-existent at the moment. They invented some of them back in the noughties, but there were too many passport issuers appointed, so all the passports looked different. And all of those issuers (PIOs) had different sets of rules and regulations and charges, so in the end it was just a complete mess – far too many ‘differents’ to work efficiently – or even to work at all! Then they introduced compulsory microchipping – every horse born after a certain date had to have a microchip. Once again, it was a free-for-all. No guidance was given as to the numerical detail of the equine chips, so they were bought in from everywhere! Unlike on mainland Europe, where each country has a dedicated numerical prefix, the microchips used in the UK came from all over the world. When it came to paperwork, there was more confusion. When you called the vet to get your horse microchipped, you would be offered two options. There was the expensive chip, which had forms to complete (not so popular with the vets’ admin staff) and the cheap chip, where you were advised to phone the National Equine Database (NED) yourself, to inform them of the number. You can guess which option most people chose, but the snag was that the NED telephone line was never manned, so you could never make that call. Sad, isn’t it, when one of the most developed, well-educated nations of the western world can’t invent a simple catalogue of horses in case there is a disease outbreak or a leak of horse meat into the food chain? Well, it happened didn’t it? Last year, you were all going to die from eating pony pies, if you believed what they said on the news. Apparently, DEFRA are looking into how to sort it all out without spending any money. They are bombarded with advice from various sources. Owners would like horse identification to be someone else’s job. Vets would like it all to happen without involving them. Dealers would like to return to the bad old days of no traceability at all and Auctioneers, well, how about the auctioneers? Shouldn’t they be held responsible for checking that each horse has a passport in the name of its vendor – they do it routinely for cattle after all? I think there should be some clear and basic rules here. 1. All microchips should have a dedicated UK prefix and come from the same source. 2. Vets should bear responsibility for providing traceability. 3. 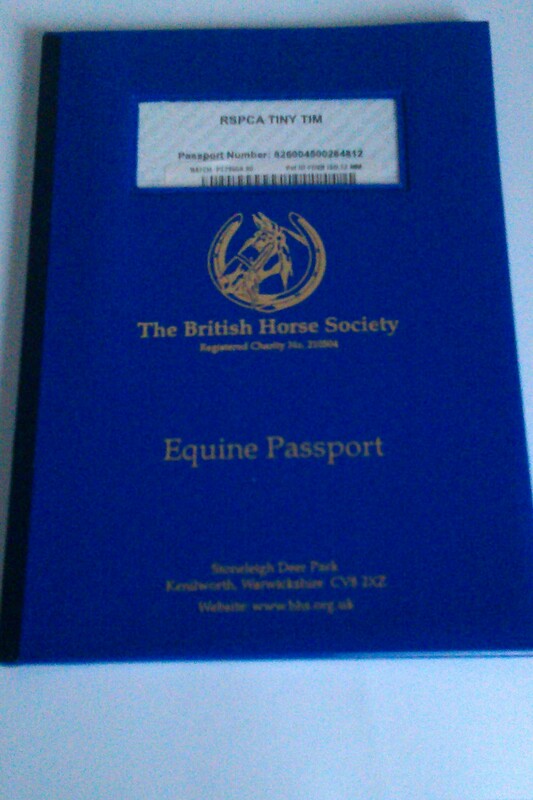 No horse should be presented for sale without a valid passport and microchip registered to its current owner. 4. Ownership should be transferred on that passport before the horse is resold. 5. There should be two PIOs for the UK. Weatherbys for the thoroughbreds and another for the rest. There are so many people who want to make money out of horses, without ever putting anything back into the industry. I think it is time they stood up to be counted. PS If you read this and feel strongly about this issue, please give me a follow. 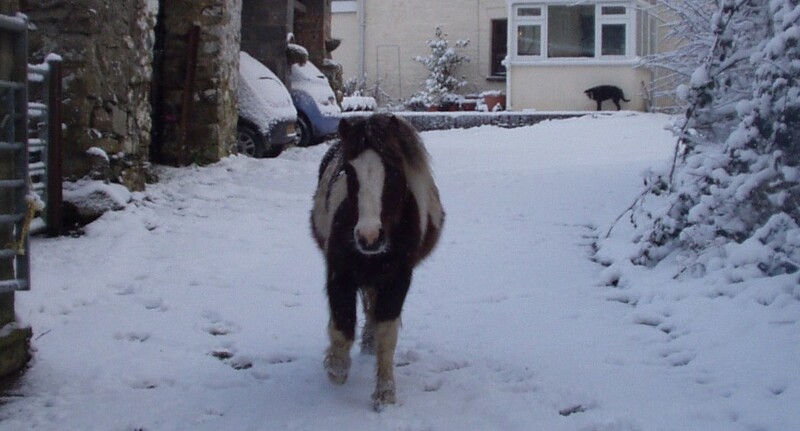 This entry was posted in Hints on horse care, Horse welfare, Life and Times, Uncategorized and tagged Animal Welfare, autumn horse care, Charitable organization, Conditions and Diseases, equine welfare, equines, Health, Horse and Hound, horse passports, horse quarantine, Passport issuing organisations, Pony Power, RSPCA, World Horse Welfare on January 31, 2014 by sallylearoyd. 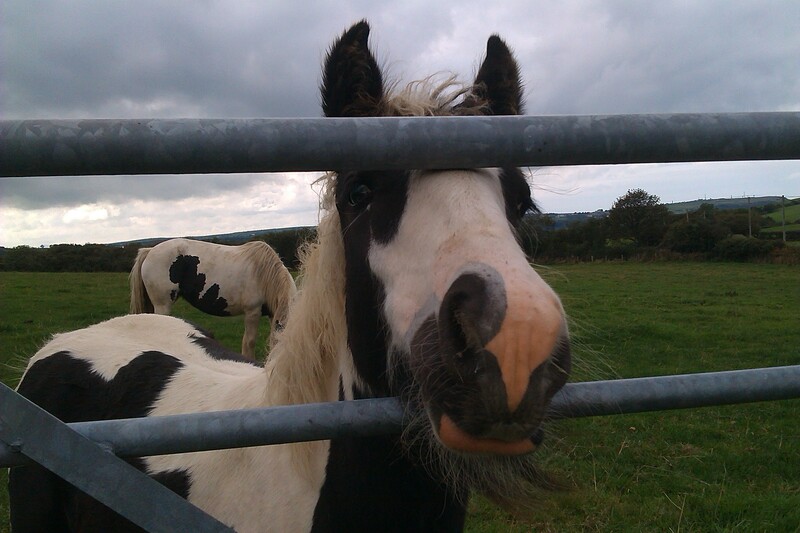 Hari the foal has a cough and a very snotty nose. It started on Saturday but fortunately, she is not poorly, in fact she is very lively and active. Like lots of babies, she is curious and playful. She is with her mum in a field by the lane and she enjoys chasing the quad bike along the fence. She can’t be with the rest of us at the moment because of the cough – and the snot. First job yesterday was to call the vet. Hari and mum didn’t come in from the field for the vet’s visit – it’s called quarantine, when you are kept away from the other horses for health reasons. When the vet came, she checked Hari over and then took swabs from her nose to be tested for a couple of things. Because Hari has no temperature and she is in a sheltered field, she needs no treatment. But we must wait a week to see what the problem might be. It could be a simple cold, or a lung infection, or equine influenza. But by the way, ‘S’ is for Strangles. Watch this space. This entry was posted in Hints on horse care, Horse welfare, Life and Times and tagged autumn horse care, Cough, equines, horse quarantine, horse welfare, Strangles on October 8, 2013 by sallylearoyd. Henry Dykes (Josh's… on It’s My Birthday! sallylearoyd on It’s My Birthday!